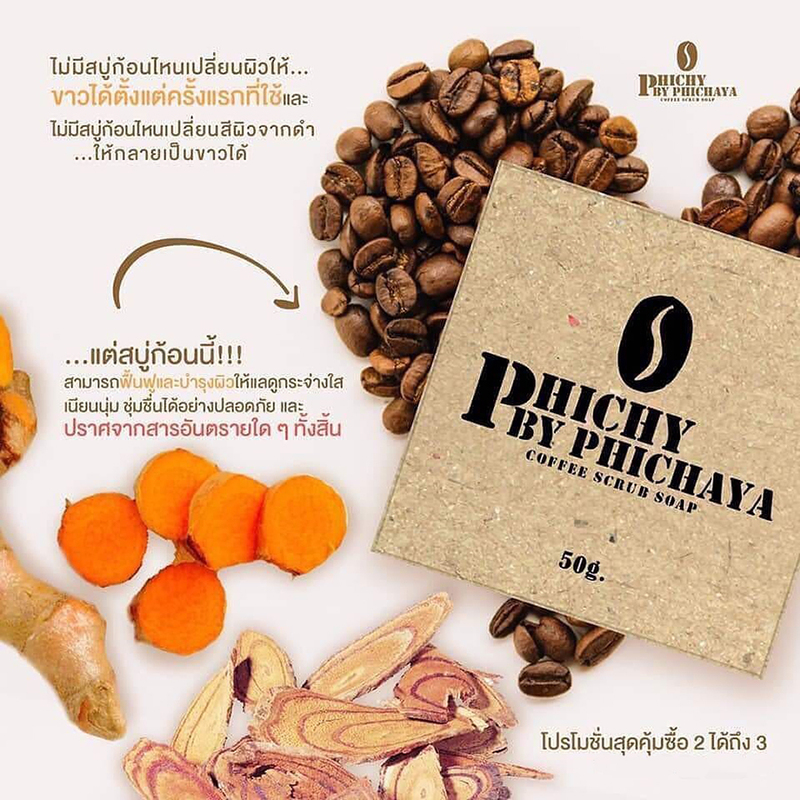 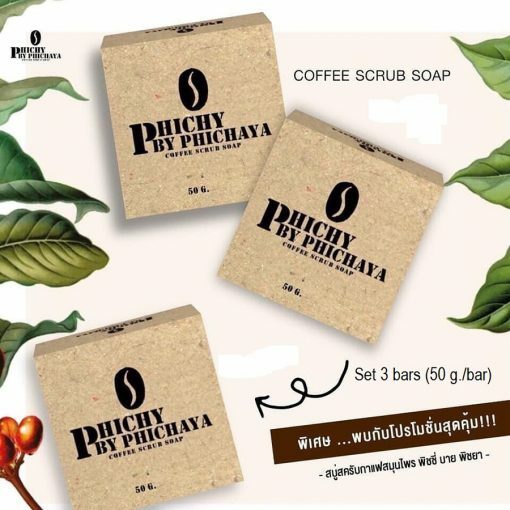 Phichy Coffee Scrub Soap by Phichaya can be used for both bathing and body scrubbing. 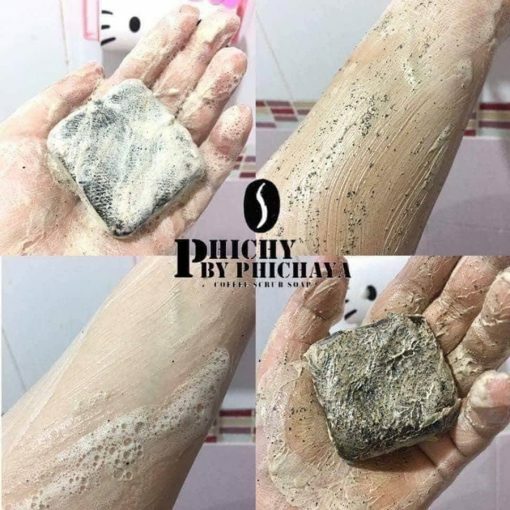 It helps detox skin and exfoliates dead skin cells. Experience the new way of bathing with soap that contains 100% natural ingredients, merged with the value of authentic Arabica coffee, and more than 10 kinds of herbal extracts, blended with milk, yogurt, honey, olive oil, and coconut oil. 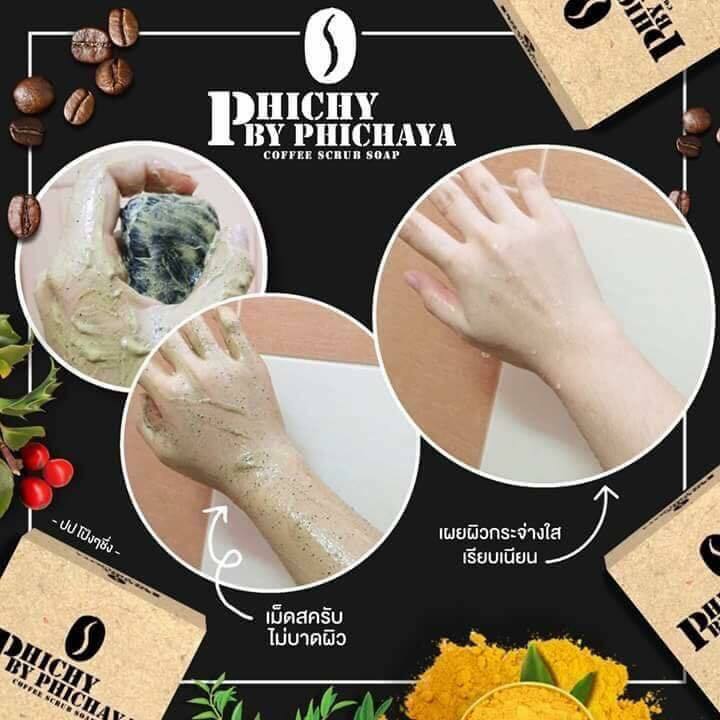 Glycerin is used as the base, so it’s safe to nourish and moisturize skin with intensive moisturizer. 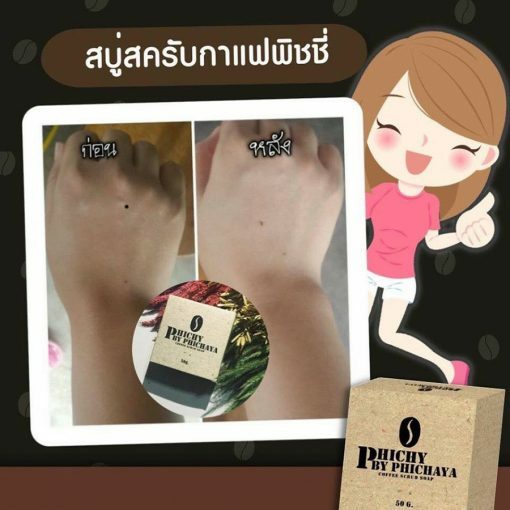 It also helps improve skin to be bright and soft without dryness. 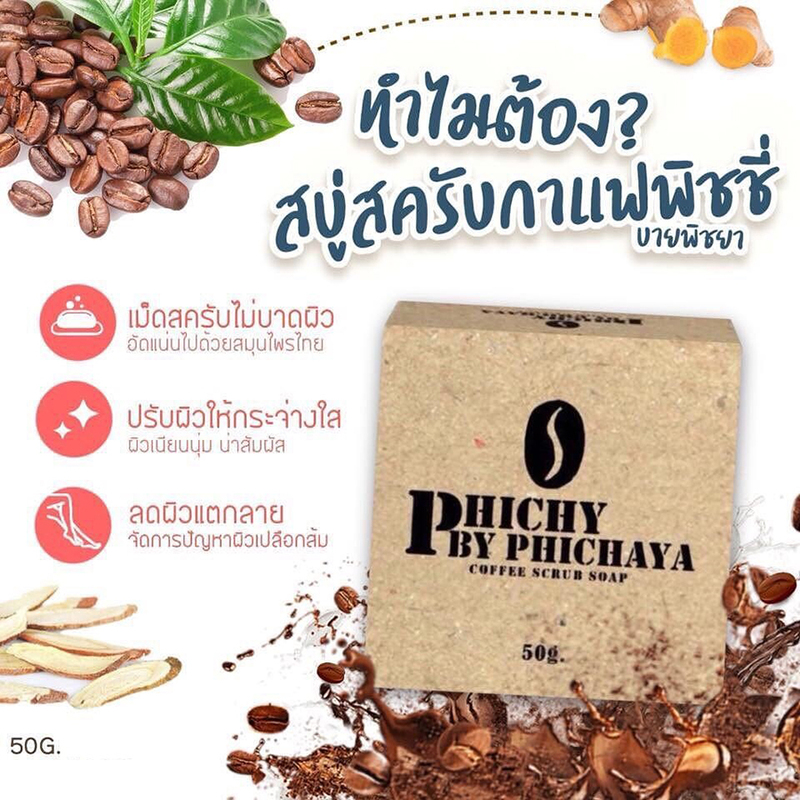 It is safe and can be used for all ages with no harmful substances, color, and flavoring. 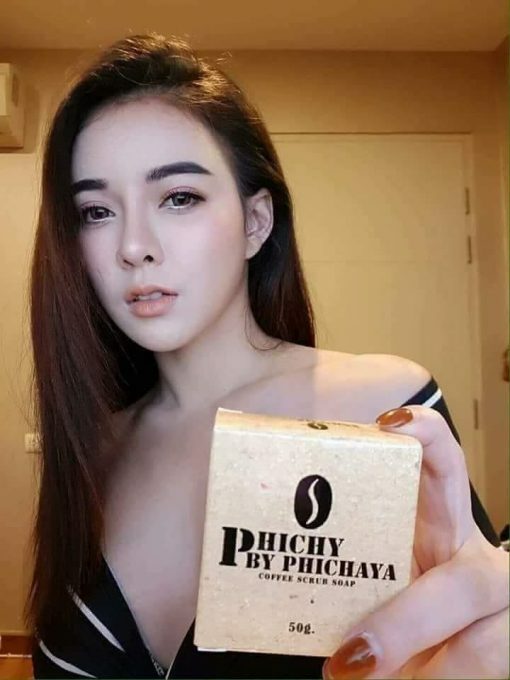 How Phichy Coffee Scrub Soap by Phichaya is good? 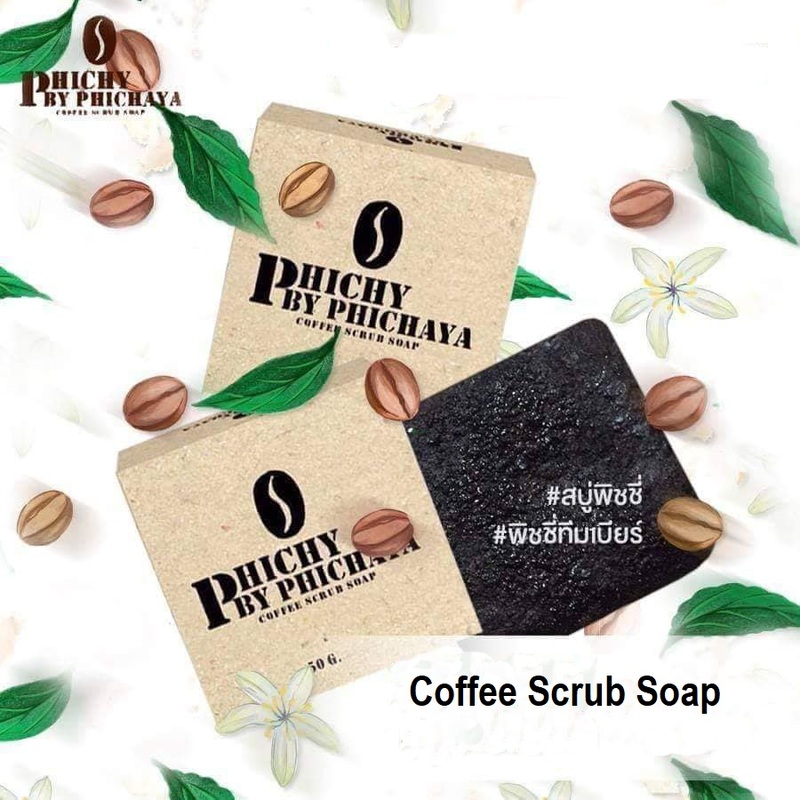 Authentic Arabica Coffee Waste: helps exfoliate skin cells for bright, smooth and soft skin. 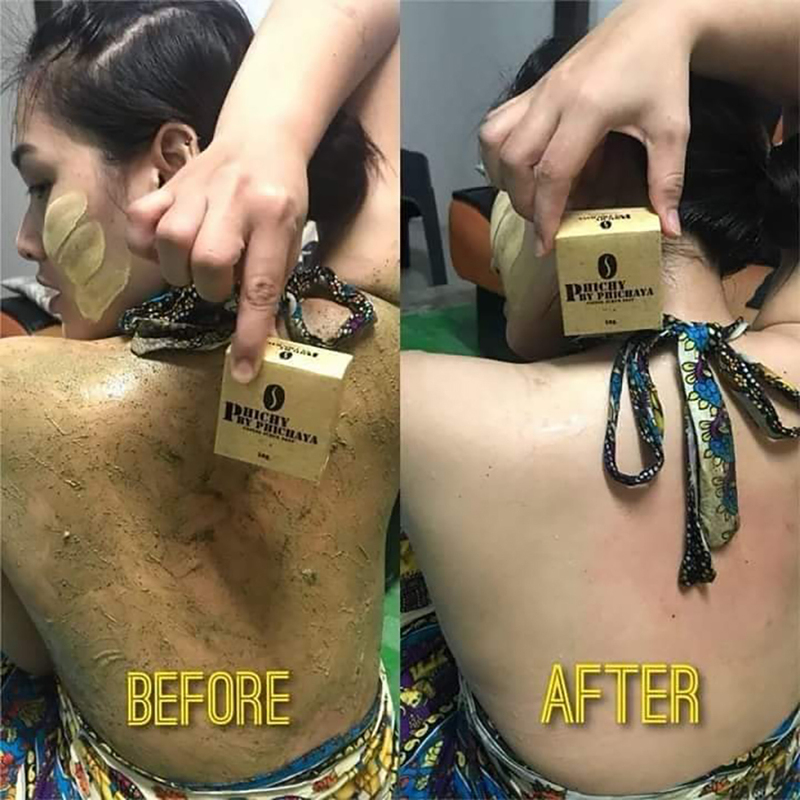 Turmeric: treats acne problems and dark spots and promotes skin to be glowing. Licorice: reduces melasmas, freckles, dark spots and dullness, kills bacteria, and nourishes skin to be radiant. 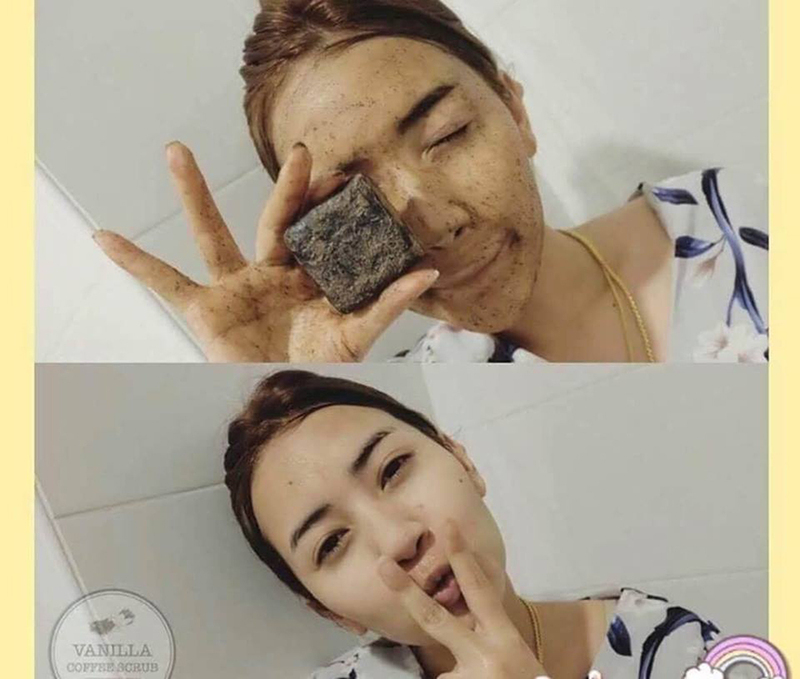 Directions: Use for cleansing skin regularly in the morning and evening. Gently rub onto skin, leave for 3-5 minutes, and rinse with water.